Premier “Innovation Management” provider uses CloudBasic’s robust RDS tools for Replication and DR for more than 30 Fortune 500 clients, including tech powerhouses HP and Cisco, and large multinationals in Appliances, Energy, Financials, and others. EXECUTIVE SUMMARY: An enterprise software company has developed an advanced cloud-based platform for the management of innovation activities across large organizations. As the product gains popularity among a growing list of Fortune 500 companies, massive databases with client data pile up. Utilizing CloudBasic’s robust replication technology, the client implemented a DR solution on AWS, extending the value of the cloud with the added benefits of true cross region replication and fully accessible read-replicas. One of the CloudBasic clients is a leading enterprise software company with more than two dozen high-profile Fortune 500 clients, including Chevron, Electrolux, Walgreens, GE, BT, PNC, Schwab, and even technology heavy-weights like Cisco and HP. The company developed a sophisticated scalable online platform, which allows enterprises to launch new or scale up existing innovation programs across the organization and beyond, with deep insights into the progress of any initiative. The software suite bundles expertise with utility to enable the fastest and most efficient journey to a successful outcome. As an innovation management heavyweight it faced the challenge of maximizing the value of the cloud for its customers. With such a high profile client base with database under management growing in size, they could not afford to lose any data. RDS Multi-AZ from AWS was an obvious choice, but it came with some deal-breaking limitations: it mirrors databases within same zone only, not to mention that the replica is not accessible. A reliable alternative solution was required, which could fully maximize the value of the cloud in their circumstances. 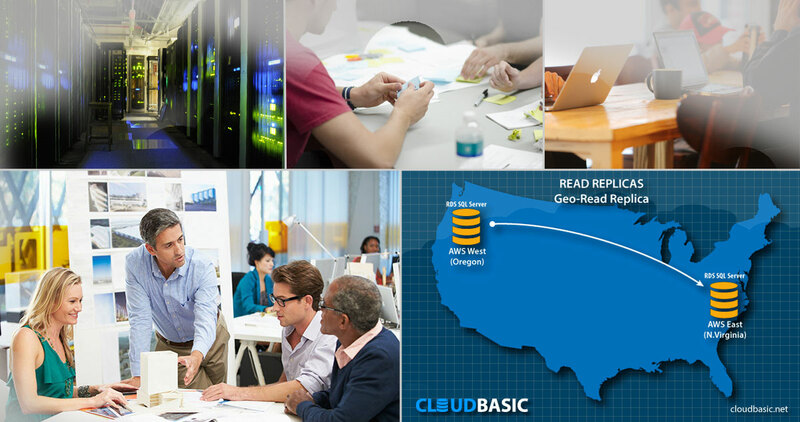 With CloudBasic RDS Geo-Replicate the partner is able to provide East Coast to West Coast server replication for the databases they maintain for their clients. On top of providing a top shelf DR solution, they are able to utilize the read-replicas for data locality, distributing the reporting workloads which offload the primary RDS servers - functionality that is not an option with the traditional RDS Multi-AZ solution from AWS. 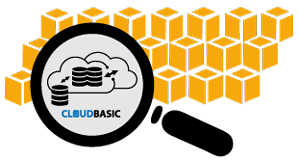 With CloudBasic, operating of Geo-Replication is an easy and straightforward task. It only takes a few minutes for the setup and the entire process is maintained in the browser. The client did not even need a DBA involved, but just a junior DevOps employee to oversee the process. A CloudBasic Support team is on standby to help if necessary. The client is able to leverage the latest cloud technology and DR solutions for the benefit of its high-profile users. They utilized one CLOUDBASIC RDS Geo-Replicate server to mirror RDS databases of multiple clients, while paying a flat license fee per CLOUDBASIC Geo-Replicate server. With one-of-a-kind suite of capabilities securely deployed in the cloud the client remains the innovation partner of choice for world class companies.